When you hear a professional refer to coverage, this means the area of your lawn that is being watered by your sprinklers. If your current sprinkler system does not cover the entire lawn, you may need to talk to the professional about making adjustments. Head to head coverage refers to the placement of sprinklers so that the water from one sprinkler slightly overlaps the water from the next sprinkler. This type of sprinkler placement is recommended because it ensures that every part of your lawn is being watered properly. This term refers to a puddle of water that could form at the base of the sprinkler or throughout the yard. When you see puddling, this means you are probably over watering your yard and the soil cannot absorb the water as quickly as it is spraying out. Adjust your watering schedule to avoid puddling in the future. Spray heads are a type of sprinkler that sprays water over a set area of the lawn, usually covering about 4-15 feet. This sprinkler head will usually pop out of the ground when in use and retreat back down when the water is turned off. If you notice that the head is not projecting the water as far as it should be, it’s time to call a company that performs sprinkler services in Denver so the head can be repaired. Spray heads are just one type of sprinkler head. Read a guide to selecting a sprinkler head here. One of the most popular sprinkler services in Denver is winterization of the irrigation pipes, but of course, this does not need to be done until it is almost winter. This process involves removing water from the pipes of the system before freezing temperatures arrive. If you do not winterize your pipes before the temperature starts to drop, the entire sprinkler system will be damaged when the water left inside the pipes begins to freeze and cause the pipes to expand and eventually break. Zone is a very general word, but when discussing sprinkler services in Denver, it means one section of the irrigation system that is controlled by a single valve. Typically, each zone will be made up of the same type of sprinkler head, type of plant and soil. If you were to mix different types of plants and soils within the same zone, the watering needs would vary across the zone, which would make properly watering the area very difficult. 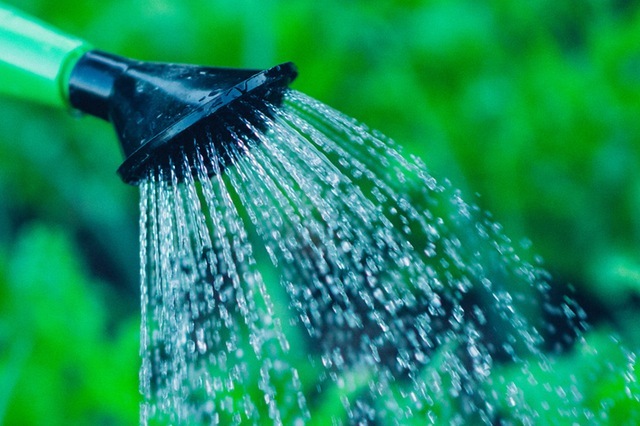 Now that you’re more familiar with terms associated with sprinkler services in Denver, let our team of professionals with over 22 years of experience help you transform your yard. Contact Water Solutions at 720-435-1495 to get a free estimate today!